October Offer with Corrie & Co: Market Your Property! Marketing your home correctly will ensure that you see results quicker, which can help you to feel more relaxed and have peace of mind. If you are thinking about marketing your home in the month of October, we have a great offer for you here at Corrie & Co. Whether you are selling or your property, when you market your property with us you will receive an Energy Performance Certificate and a Floor Plan for free. As a legal requirement while marketing your home, Energy Performance Certificates, or EPCs, would typically cost you £99 + VAT. However, if you market your property for sale with us for 20 weeks, you receive both the EPC and a Floor Plan for free. Should the property not have any changes done after you receive the EPC, this is valid for 10 years. In addition, we also have a ‘No Sale, No Fee’ policy, which means that we won’t charge you if your property isn’t sold. We want you to have a hassle-free experience with us, which is why we are always available to answer any questions you might have. Terms and Conditions apply for this offer. Why are Energy Performance Certificates Important? Energy Performance Certificates provide an Energy Efficiency rating on a scale between 1-100. Starting on ‘G’ for very inefficient and ending on ‘A’ for very efficient, the scale also includes a rating for Environmental Impact regarding carbon emissions. The calculations for the ratings are done by a national calculation methodology including information on solar gains, heating, ventilation and cooling systems, insulation performance, and construction details. These certificates provide both property owners and prospective buyers with an insight into potential measures to improve energy performance and how costly energy can be in the property. As a legal requirement as soon as you begin to market your property for selling or renting, EPCs can be greatly beneficial to improve the value of a property. As they showcase the potential savings when the property’s energy efficiency is improved, this can also show a buyer the long-term value of your property. 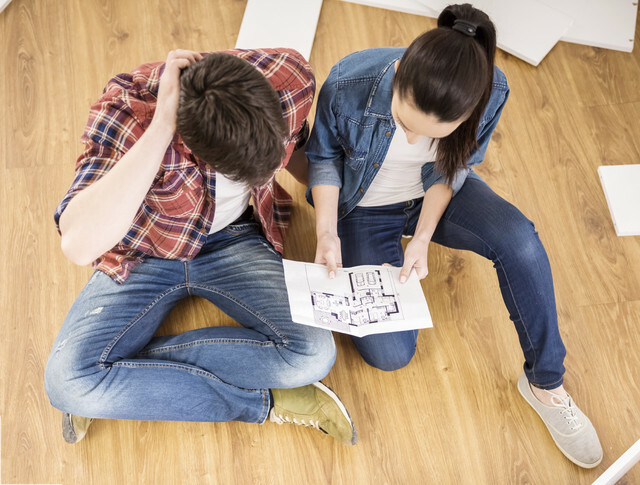 Although it may seem like floor plans are unnecessary, buyers in general appear to love floor plans. They can help your property to stand out from others, as they help prospective buyers piece together the property photos in their mind and see how your home is laid out. With only photos typically available online, it can be different for prospective buyers to picture the property’s layout via a floor plan. Knowing where the rooms are located in regards to each other can also provide important information to buyers. In addition, floor plans allow for a simple and easy way to showcase how many windows exist in every room, how much storage space is available, and how the space is laid out. This is particularly important for buyers that are located out of town, as they can feel more comfortable making a decision about a property they haven’t been able to inspect. Another benefit of floor plans is the fact that they allow buyers to visualise how they would decorate the property with their own furniture. Prospective buyers can fall in love with your property if they can see themselves in your home, becoming emotionally attached to a property they simply must have. Should you have any questions about our offer or how to market your property with us, simply give us a call on 0800 8620126.